The NSW Auditor General will conduct another inquiry in the Liberal's bungled WestConnex project. Slammed previously by the NSW Auditor General, and the by Commonwealth's National Audit Office, a further investigation is to be undertaken. How, to this point a state government can get away with Australia's largest road infrastructure project, a shambles and fails every test despite independent analysis by Commonwealth and State Independent Auditor Generals' defies belief. I have set out in full the text of my request to the Auditor General. I refer to recent commitments given by the Audit Office of NSW with respect to its intent to conduct another inquiry into the NSW Coalition Government’s Westconnex project. I welcome further scrutiny of this project, given my longstanding and consistent criticisms of this project. I note that the scope of the audit is as yet undetermined. I have serious concerns regarding the financial probity of the project, its ability to meet its stated objectives, and potential governance failings that allowed such a project to proceed. I submit to you herewith my suggestions as to what aspects may be examined, for your consideration. “The Westconnex project had not proceeded fully through the established processes to assess the merits of nationally significant infrastructure investments prior to Australian Government funding being committed”. This accords entirely with the assessment former Auditor-General Hehir made in the 2014 Westconnex: Assurance to the Government, that the “business case has many deficiencies, and falls well short of the standard required of such a document”. I submit to you that the original deficiencies identified by the ANAO and the Audit Office of NSW have not been addressed by the NSW Government, Roads and Maritime Services, and the Sydney Motorway Corporation, in the interceding period between those reports and this submission. I submit the following major flaws with the Westconnex project, which I would be most grateful if you were to examine in the process of the new inquiry. I refer to the “Westconnex M4-M5 Link Environmental Impact Statement” (EIS), which was prepared for Roads and Maritime Services in support of its State Significant Infrastructure application to build Westconnex Stage 3, otherwise known as the M4-M5 Link, being a new, tolled multi-lane road link between the M4 East, and the New M5, both currently under construction. For the purposes of this submission, the project shall simply be referred to as “Stage 3”. The EIS for Westconnex Stage 3 has, for the first time, published the assumed Benefit:Cost Ratio (BCR) for Stage 3. The EIS assumes a BCR of the Stage 3 project of 2.88:1 without regard for wider economic benefits, and 2.94:1 when wider economic benefits are considered. By way of background, at no point were individual BCR assumptions ever published for individual stages of the project. Instead, the Westconnex Updated Strategic Business Case of November 2015 gave only a general indication of the BCR for the project in its totality; 1.71:1 without reference to wider economic benefits, and 1.88:1 when wider economic benefits are considered. Per the Westconnex Updated Strategic Business Case, those total benefits are taken to be $22.204 billion without consideration of wider economic benefits, and $24 339 billion when wider economic benefits are considered. Given a cost of $7.247 billion, and a BCR for Stage 3 of 2.88:1, or 2.94:1, under even the most generous of assumptions, Stage 3 accounts for the vast bulk of the benefits that flow from Westconnex as a whole.It follows, at the time of Ministerial approval, the BCR for Stages 1 or 2 could barely have been 1:1. SGS Economics and Planning already predicted that the BCR for the Westconnex project was below 1:1 in February of 2016, before the aforementioned cost blowouts, and the removal of the Sydney Gateway, which I shall detail further below. I submit that the business case for the Westconnex project was either so flawed, or so deceptively construed by its authors, that the project could not have been responsibly approved by the NSW Government, on the grounds of insufficient economic return. I submit also that the NSW Government was irresponsible in approving such a project, given the ability of certain stages of the project, and the project in its totality, to deliver a Benefit to Cost ratio that could justify the expenditure of public money, much less so to construct a toll road that generates profit for a private company, and that cannot meet its own objectives of moving freight to and from Port Botany. In August of 2017, the NSW Government spectacularly excised the Sydney Gateway from its Westconnex project, deleting all references from its website and re-imagining the original $800 million cost as an “allocation”, with further funding to come either from a Treasury allocation or private sector funding. This is despite 45 references to the Sydney Gateway as an integral part of Westconnex, to be delivered as part of “Stage 2”. Indeed, it is arguably the most crucial element of the project, which provides the freight link from the major economic centres at Port Botany and Kingsford-Smith Airport to the motorway network, the object and intention of Westconnex. Now, the Sydney Gateway will no longer be delivered as part of Westconnex; instead, it will provide a connection from Port Botany and Kingsford-Smith Airport to Westconnex. The Business Case assumes the construction of the Sydney Gateway. Without the Sydney Gateway, Westconnex cannot deliver the connectivity benefits, freight network enhancement, and economic growth predicted by the Business Case. Given recent cost overruns, and the removal of the Sydney Gateway project from the Westconnex project, the BCR for this project must have suffered commensurate and severe deterioration. I would ask that you pay particular attention to this matter in your inquiry. If the public is to form a view, one way or another, about the wisdom and utility of spending nearly $20 billion delivering a new network of motorways, it ought to have an accurate set of figures on which to base its analysis. Sadly, I fear that the benefits assumed shall never materialise, and the costs will continue to spiral out of control. The Lord Mayor of Sydney, the Rt. Hon. Clover Moore, submitted to the City of Sydney Council in her Mayoral Minute of 29 February 2016, that the Westconnex project will necessitate many billions of dollars in additional road upgrades to the arterial and collector road networks around tunnel portals. The City of Sydney predicts the cost of these projects to amount to over $45 billion. This is a conservative estimate. 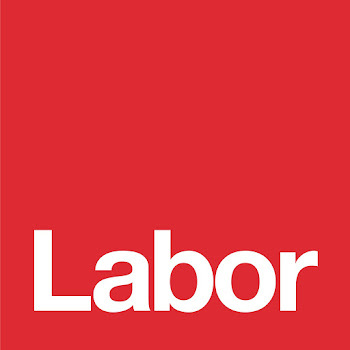 Already, in my electorate of Heffron, the NSW Government has committed itself to the Alexandria to Moore Park Connectivity Project (A2MP), three kilometres of road widenings and intersection upgrades from Maddox Street, Alexandria, to Alison Road and Anzac Parade at Dacey Avenue, Moore Park. This 3.2 kilometre road upgrade, and the largest “continuous flow intersection” ever built in Australia, is slated to cost $1 billion or more, making it one of the most expensive roads ever built, dollar per kilometre-wise. This is only one of many enormous projects required to make Westconnex “work”. The Westconnex Updated Strategic Business Case advises that the Western Harbour Tunnel is required to “unlock the full benefits” of the Westconnex project, as part of the $14 billion BeachesLink tunnel project. The F6 Extension “Gateway to the South”, from St Peters to Waterfall, is estimated to cost $18 billion. In stark reality, the actual cost of these projects will be much higher than the City’s estimate. For example, the City’s analysis assumes a cost of the F6 Extension of $6.8 billion, not the $18 billion submitted by RMS in leaked Cabinet documents. They are mind-blowing sums of money. Astonishingly, for every dollar required to be spent on Westconnex, it appears the NSW Government commits itself to another three dollars in road upgrades or additional projects. They are all, of course, toll roads, to be built by Private-Public Partnership. It is the most appalling example of the “sunk cost” fallacy conceivable. On every project that fails to stack up or achieve its objective, the Government bets it all again on the next roll of the dice, in the hope that the next project will finally pay off. It is, after all, much easier to gamble with someone else’s money. Finally, I note also that there is some contention as to whether the Sydney Motorway Corporation will be examined in the context of this inquiry. I urge you to do so. The Sydney Motorway Company, as a private company limited by shares, is currently not covered by freedom of information provisions relating to government agencies, pursuant to the Government Information (Public Access) Act, 2009. Neither is it accountable to the Parliament. It is accountable only to its two shareholders; the NSW Treasurer, and the Minister for Westconnex. The NSW Coalition Government has gone to extraordinary lengths to prevent the release of information about Westconnex. The Sydney Motorway Corporation is a legal fiction, design to frustrate the public’s ability to scrutinise the operations of what is, for all intents and purpose, a public agency delivering State Government infrastructure with public funds. This would be outrageous in any case. It is all the more so outrageous when consideration is given to the astonishing sums of money that are being expended in the course of the project, the largest and most expensive road ever built in Australia. Secrecy, being an instrument of conspiracy, ought never to be the system of regular government. The Audit Office of NSW may be the only public body with powers to examine the operations of the Sydney Motorway Corporation. I implore you to use them to examine this organisation in the course of this inquiry. I am most grateful for your consideration of this submission, and I very much look forward to reading the findings of the Inquiry, however it may be constituted."